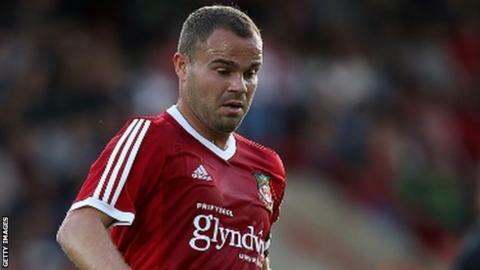 Wrexham manager Gary Mills wants to see an improvement from midfielder Lee Fowler following his return to the club. Fowler has returned from a two-month loan spell with National League rivals Tamworth. The 32-year-old rejoined Wrexham in May 2015 and was named captain at the start of the season but found game time limited. "He didn't give the club enough, he didn't give me enough," Mills said. "He knows that, he's an honest lad. We never fell out over that. "If I get the same as before, again he won't be involved. If I see a difference he might be the one to make the passes to open teams up." Winger Adam Smith will remain on loan at Guiseley until the end of the season while Mills hopes to bring in a new striker during January. Mills admits automatic promotion is beyond Wrexham following three successive defeats over the festive period. Wrexham are 11th in the National League, 19 points behind leaders Cheltenham and seven points behind fifth placed Macclesfield. But the Dragons have three games in hand on Macclesfield and Mills is confident his side can reach the end of season play-offs. "There's 20 games to go, a lot to play for," Mills said. "We're on 40 points and we need another 40 points to get us into the play-offs. "There's two big games coming up and it could set up our season or send us the other way." Mills' side host seventh-placed Woking on Saturday before a trip to struggling Altrincham on Tuesday, 12 January.